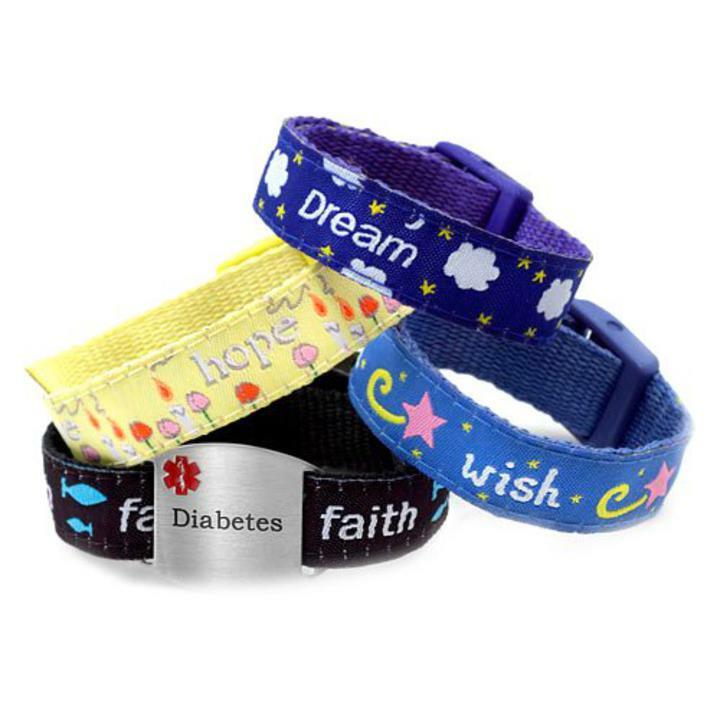 Our pre engraved DIABETES medical id slide on plate with 4 pack of sports bands! The 4 pack of medical id sports bands are perfect for all ages, from toddlers to adults. Available in sizes 4-6 inches or 5-8 inches! The plate measures 1 3/8" x 1", the sports band is 5/8" in width! The bands with this set are Faith, Wish, Hope, and Dream ,sorry no substitutions in straps.